MORGANTOWN, W.Va.–In a study funded by the National Institutes of Health, West Virginia University neuroscientists linked white light at night–the kind that typically illuminates hospital rooms–to inflammation, brain-cell death and higher mortality risk in cardiac patients. Randy Nelson, who chairs the Department of Neuroscience in the WVU School of Medicine, and Courtney DeVries, the John T. and June R. Chambers Chair of Oncology Research at WVU, re-created cardiac arrest in animal models. Doing so temporarily interrupted the brain’s oxygen supply. Then the researchers and their colleagues divided the models into three groups that would spend their nights in–respectively–dim red light, dim white light and the dark. Exposure to white light at night also correlated to greater cell death in the hippocampus–a part of the brain that’s key to memory formation–and more aggressive inflammation overall. In fact, just one dimly illuminated night was enough to cause pro-inflammatory cytokines–tiny proteins critical to immune responses–to surge. This was only the case, however, if the light was white. Red light had no effect. “When you see long-wavelength, blue light first thing in the morning, those long wavelengths set your circadian clock to precisely 24 hours. The problem is, if you see blue light at night–from your phones, TVs, computers and compact fluorescent lights–they’re disrupting your circadian system all night long. Those lights look white to us, but frankly, they’re mostly blue,” explained Nelson, who–along with DeVries–receives support from the West Virginia Clinical and Translational Science Institute. His previous research has associated nocturnal blue light with higher rates of obesity, metabolic disorders and depression. To that end, the researchers are exploring whether white light at night provokes a similar physiological response in people. 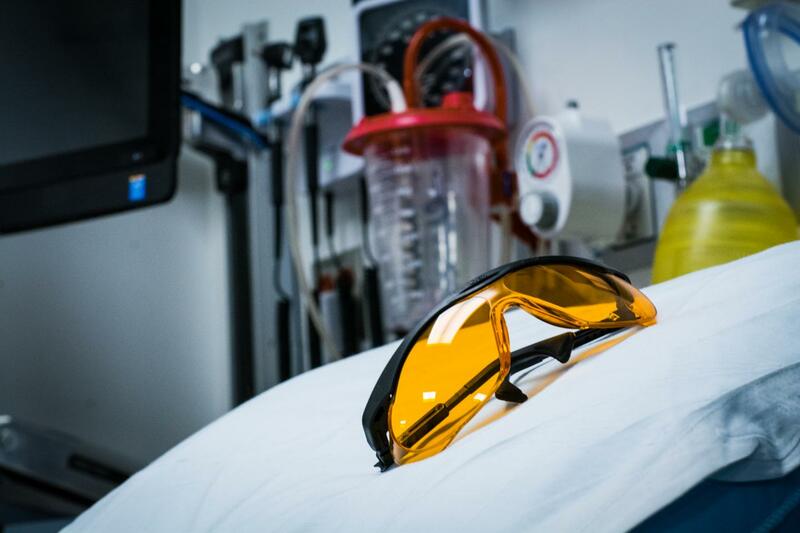 For four nights in a row, they outfit one group of hospitalized cardiac patients in special “gaming glasses” with orange lenses that filter out the troublesome blue light. Wearing the glasses seems to bathe everything in warm, sunset tones. Another group of patients wears identically shaped glasses that have clear lenses, allowing the full spectrum of white light–including blue tones–to pass through.